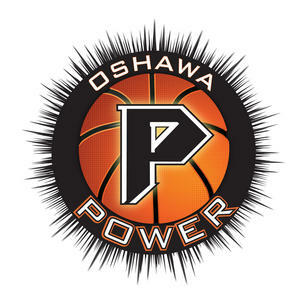 The Mill Rats added an offensive big man in Kevin Francis, who averaged 11.9 ppg and 6.5 for the Oshawa Power. Kevin Francis is a Toronto native, and has played for Cleveland State and was also a member of the Canadian Junior National Team in 2004 and 2005. "Kevin is versatile power forward who can play all three positions in the front court, and we are looking forward to him helping us in our quest for an NBL Canada championship," said Mill Rats President and General Manager Ian McCarthy in a Mill Rats press release. Oshawa, in turn, receives Jerome Brown (4.4 ppg) and David Collins (1.0 ppg, 2 games). Both players are Toronto natives returning to Ontario. Brown, was the fifth overall pick in this year's NBL Canada draft. The Mill Rats will also be signing another Canadian player. According to Ian McCarthy's Twitter account (@MillRatsGM1), it may be Isaac Kuon, 6'4" shooting guard who played for the University of Windsor. Halifax released two guards on Tuesday, Orien Greene and Papa Oppong. With the NBA lockout over, Orien Greene will look to pursue an NBA roster spot. The former Boston Celtic averaged 10.3 ppg in his six games with the Halifax Rainmen. Papa Oppong averaged 3.1 ppg in seven games for Halifax. Oppong was the Rainmen's top pick in this year's NBL Canada draft, he is a Pickering, ON native. Labels: Halifax Rainmen, Ian McCarthy, Kevin Francis, National Basketball League of Canada, Orien Greene, Oshawa Power, Saint John Mill Rats, Transactions, What happened in the NBL Canada last night?